Chris’ attention to detail and perfect explanations delivered in a calm way help even the most nervous driver feel relaxed in his car. He’s also a Grade A instructor (the highest grade!) Your lessons with Chris will be packed full of learning in a relaxed atmosphere, and he’s one of the nicest guys you’ll ever meet! Favourite quote: “That which doesn’t destroy you, serves to make you stronger”. 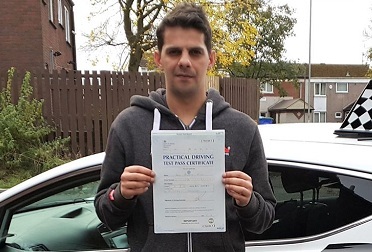 Chris gives driving lessons in, Chadderton, Royton, Shaw, Middleton, Alkrington, Blackley, Failsworth, Harpurhey, Hathershaw, Heywood, Hollins, Hollinwood, Limeside, Moston, Newton Heath and Oldham. 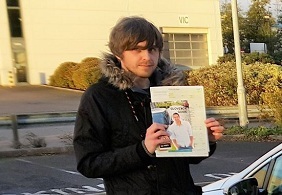 “I definitely recommend Latics for learning how to drive and many thanks to Chris Loder. He’s being supportive from the very beginning. Coached me through pregnancy and beyond with great patience. Very professional and thanks to his perseverance I was able to succeed after few attempts. Passed with Chris Loder, he was a pleasure to learn from. I couldn’t thank Chris enough. Chris is very passionate about driving safely and appropriately. Chris was a perfect instructor! Chris is a great instructor! Chris Loder helped me pass my driving test first time. Chris Loder was fantastic from day 1. Chris Loder is a great driving instructor! Chris Loder was great from the minute I first met him! 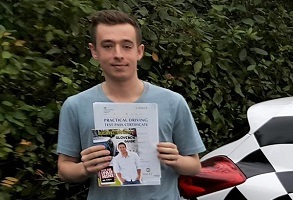 I would definitely recommend Chris to anyone looking to start driving lessons! Chris Loder is a great instructor! Chris Loder is a great instructor. Chris made my lessons enjoyable. I want to thank Chris Loder for everything he has done for me! I would recommend any person looking for a driving instructor to use Chris Loder! Chris was a fantastic tutor! 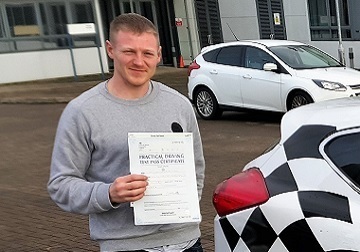 “I took lessons with your company and passed my test about a month ago with Chris Loder as my instructor. Chris was a fantastic tutor. He was patient, easy to talk to, a good teacher and fit me into his schedule even if it meant him working on one of his days off due to the date of my test. Not only does he help a lot whilst we’re in the car, but out of the car he puts together lesson plans and emails with advice on, and letting me know where I need to improve and how I should go about them. As well as this he sends information on how to complete the manoeuvres and all the correct procedures. I will definitely be taking the pass plus course with Chris and when my girlfriend finally starts driving he will be the tutor I recommend. I would highly recommend Chris Loder to anyone! Great 1st time pass Sabia! 1st time pass & only 3 faults! Fab 1st time pass, only 2 faults! Fantastic 1st time pass Tom! Amazing 1st time pass Jamie!